The UK has a thriving LGBTQ community nationwide, with some areas being famous for their gay villages. Larger cities as well as the major metropolitan areas across the country usually have whole zones which are dedicated to gay and LGBT venues, and both gay and straight customers alike are assured a warm welcome. Brighton holds the title of the unofficial gay capital of the UK, with LGBT history having been recorded in this city since the 1800s. The biggest Pride event anywhere in the United Kingdom is held here every August, and it attracts over 150,000 people annually. 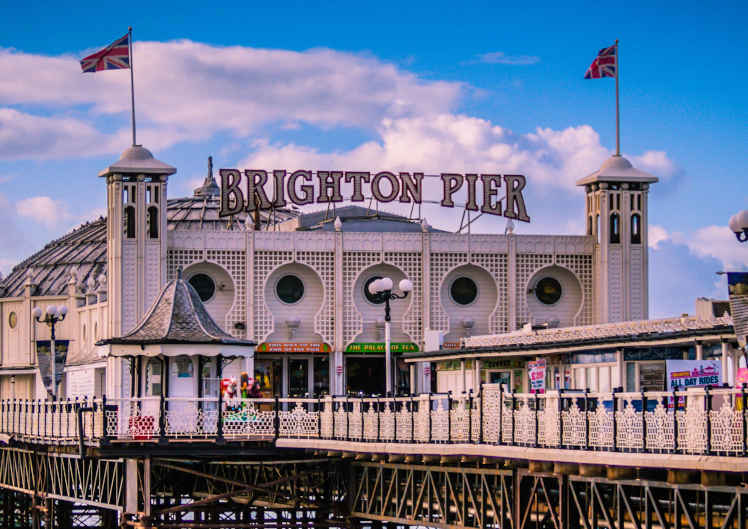 As you might expect, Brighton has no shortage of gay bars, clubs, cafes, shops and restaurants, with most being clustered in Kemptown in St James’ Street. The Queens Arms is one of the best known venues in the city, hosting drag acts and karaoke on a regular basis. For those who prefer traditional clubbing, Club Revenge is as big and famous as it gets. As the biggest and best known gay club in the south of England, it has stood close to the Palace Pier for a quarter of a century. 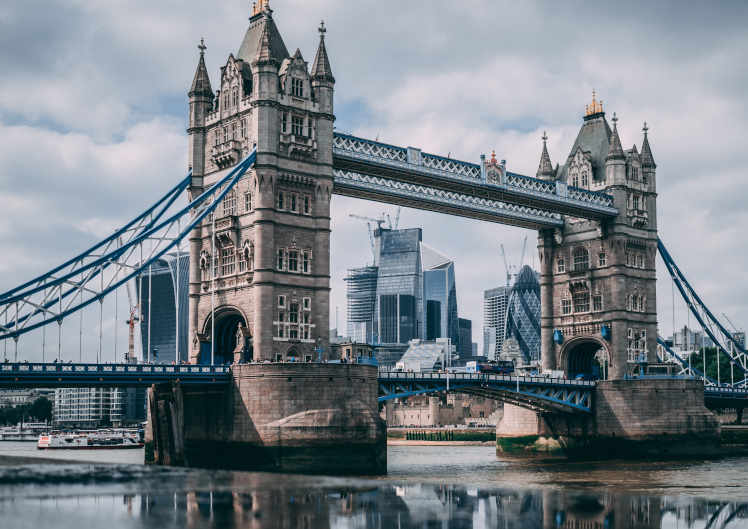 London is a mecca for gay and LGBT travellers from around the world, and there is a thriving scene for both visitors and locals alike to enjoy. The Royal Vauxhall Tavern holds the accolade of being the oldest gay venue to survive in London, but most of the LGBT community venues are localised around the Soho area. Old Compton Street is the hub of London’s Gay Village, and has been since the 1700s, and today, you can find a host of cafes, restaurants, clubs and bars serving both gay and straight customers alike. Try Circa Soho in Frith Street for a high fashion experience, or The Yard Bar on Rupert Street with its lovely outdoor courtyard and friendly, laidback vibe. Manchester is arguably the gay capital of the north of England, with Canal Street being the city’s most popular gay and LGBT destination. Having first become popular in the 1960s, Canal Street is the heart of the Manchester Gay Village and featured in TV shows Queer As Folk and Bob & Rose. 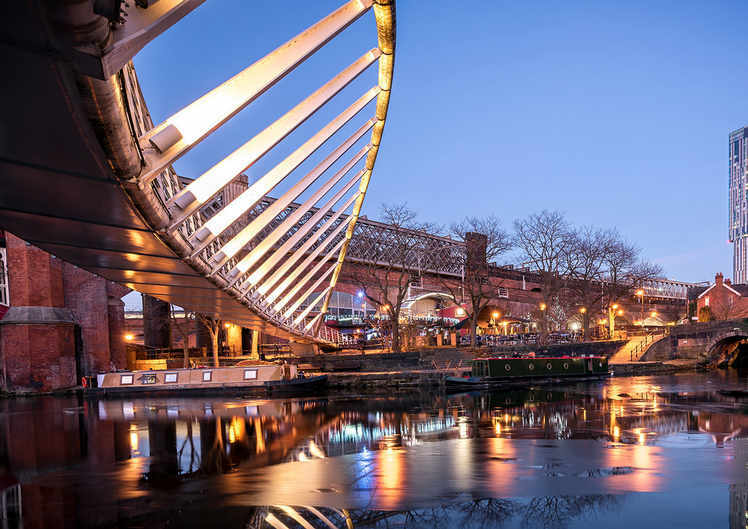 You’ll be spoiled for choice when you head for a night out in Manchester, with bars and clubs galore. If you’re up for a serious night of clubbing, you should head to G-A-Y on Richmond Street with its cool roof terrace and amazing views over the Village. 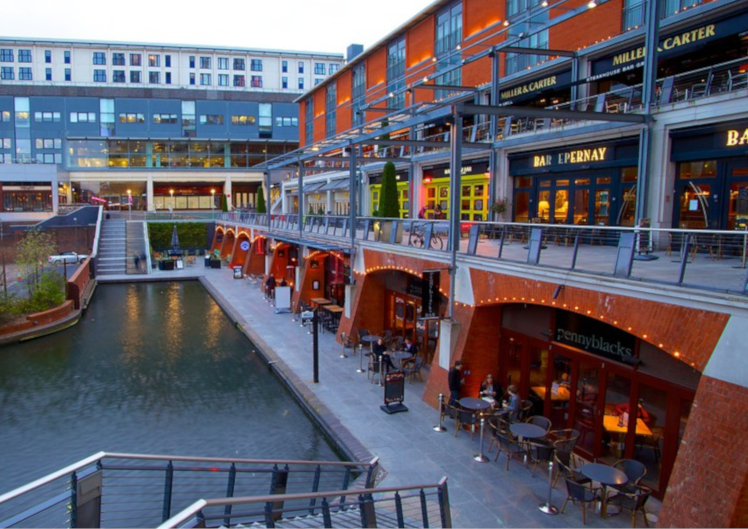 Alternatively, if you’re looking for classy cocktails with swanky style, head to Velvet where you can indulge in drinks on the canalside. There are around 60,000 people in Birmingham’s LGBT community, so it isn’t surprising that the Birmingham Gay Village is pretty prominent these days. Located in the Southside area with Hurst Street at its centre, you’ll find bars, shops and clubs in this zone as well as a host of festivities and entertainment including the Birmingham Pride festival. The Eden Bar is one of the most established gar bars in the city, while anyone who is up for a party will love the Missing Bar on Bromsgrove Street. 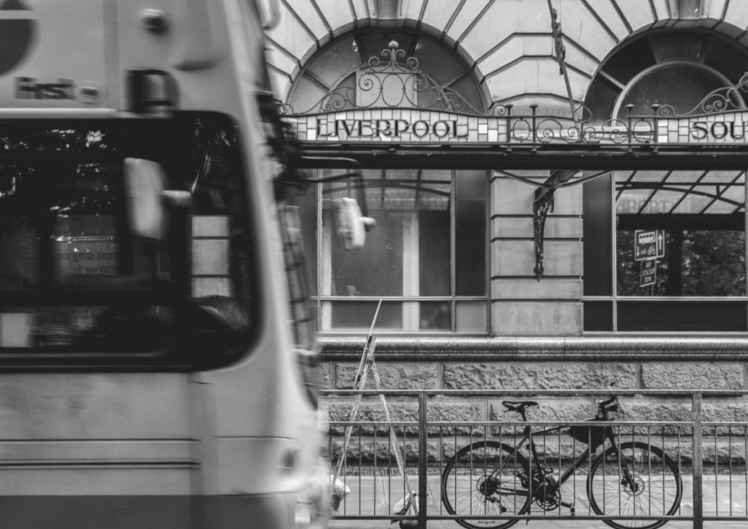 Home to the UK’s biggest LGBT population, Liverpool has around 94,000 people in its LGBT community – around the same number that live in famously gay-friendly San Francisco! Liverpool was the first British city to have officially recognised Stanley Street Quarter as its gay village, having installed street signs which display the Pride Flag. If you’re looking for fun and entertainment, look no further than The Masquerade, which hosts burlesque nights and comedy performances, while the GBar is lively enough to satisfy even the most hardened drinker and clubber. 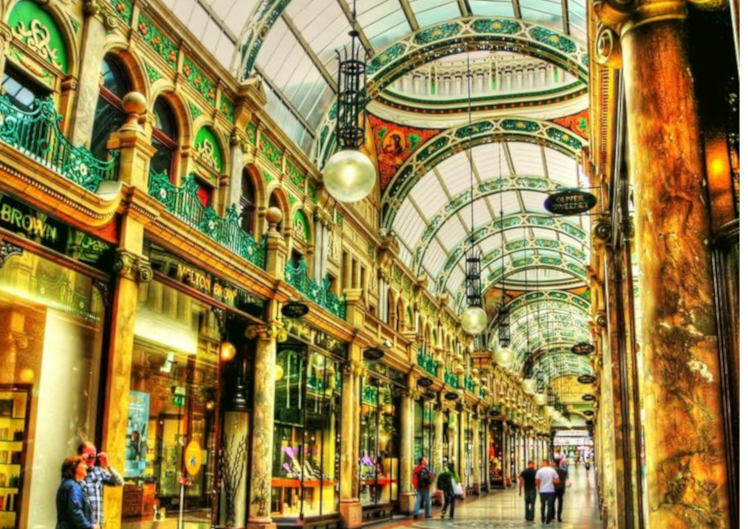 The big gay district in Leeds is primarily located around Lower Briggate and Leeds Bridge. Around 25,000 people are attracted to the city every year for Yorkshire’s biggest Pride event and there is no shortage of drinking and partying venues in this northern city. Visit the Viaduct Show Bar for an evening of cabaret or drop into The New Penny, Leeds’ oldest gay bar and one of the friendliest venues in the city. 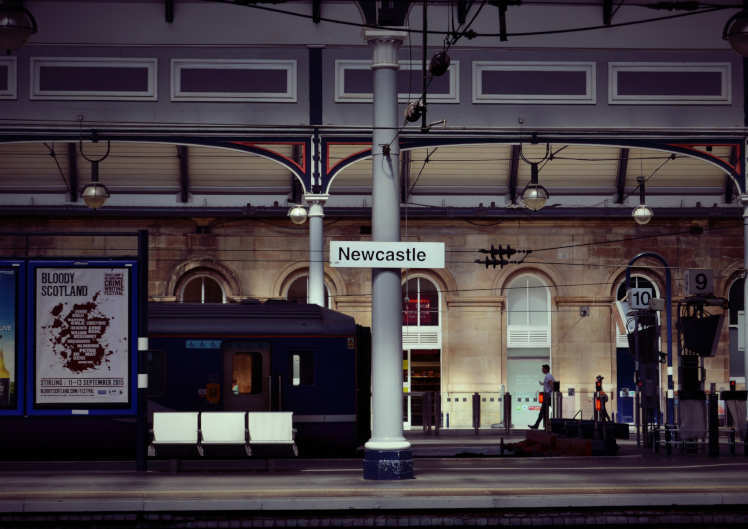 One of the party capitals of the UK for both gay and straight drinkers alike, Newcastle’s gay village is in the heart of the city centre around the “Pink Triangle”. You’ll find plenty of high energy clubs, laid back drinking venues and entertainment spots here, so choose from Boulevard with its spectacular drag shows, Rusty’s with its fun vibe or Powerhouse, the oldest gay club in the city with its pumping music and dancefloor. These are just some of the UK’s top gay and LGBT venues. Whether you’re the laidback type or the high energy partygoer, you’ll find something to enjoy in one of these nightspots. The RVT is proud to host events every night of the week, every week, but there are many special events which have been planned for the next few weeks and months that are sure to delight guests old and new alike. Here are some of the key upcoming occasions to plan into your diary. On 7th June 2018, the UK semi-final of the prestigious Drag Idol UK competition comes to the Royal Vauxhall Tavern.. The latest instalment of Ripley’s hilarious political satire show comes to the RVT on 15..
Held on 5th July, the Queerlesque 9 showcase is hosted and curated by Rubyyy Jones and brings an energetic celebration..
On 18th July, it’s time to get down and filthy with Vinegar Strokes, the star of Everybody’s Talking About Jamie..
On 21st June, Bucks Fizz are gracing the stage at the RVT! It's been 35 years after winning the Eurovision Song Contest..